Don’t look now but April is officially here, which means that Easter is right around the corner. It also means that the NFL Draft is fast approaching, as well. For non-football fans, the Draft isn’t a huge deal, but for crazed football fans — and especially Oregon Duck fans — April 30 will be a very exciting day. 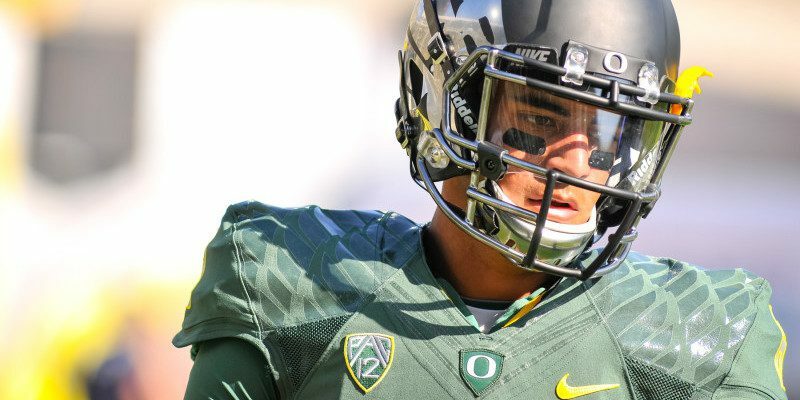 The speculation about Marcus Mariota‘s possible destination on draft day has been well documented ever since Oregon’s Heisman winner declared for the draft nearly three months ago. Rumors about a reunion between Mariota and the Ducks’ former head coach, Chip Kelly, have dominated headlines, but various reports have also suggested that Mariota could possibly land elsewhere. Although nobody knows where the Ducks’ former quarterback will play next season, one thing is certain: the 2014 Heisman winner is ready to show critics what he’s all about. According to Mark Eckel of NJ.com, although Kelly and the Philadelphia Eagles have been connected to Mariota, there are six other NFL teams interested in selecting Oregon’s former quarterback in the upcoming Draft. Eckel says that the New York Giants, New Orleans Saints, San Diego Chargers, Cleveland Browns, St. Louis Rams and the Tennessee Titans have all expressed interest in Mariota.